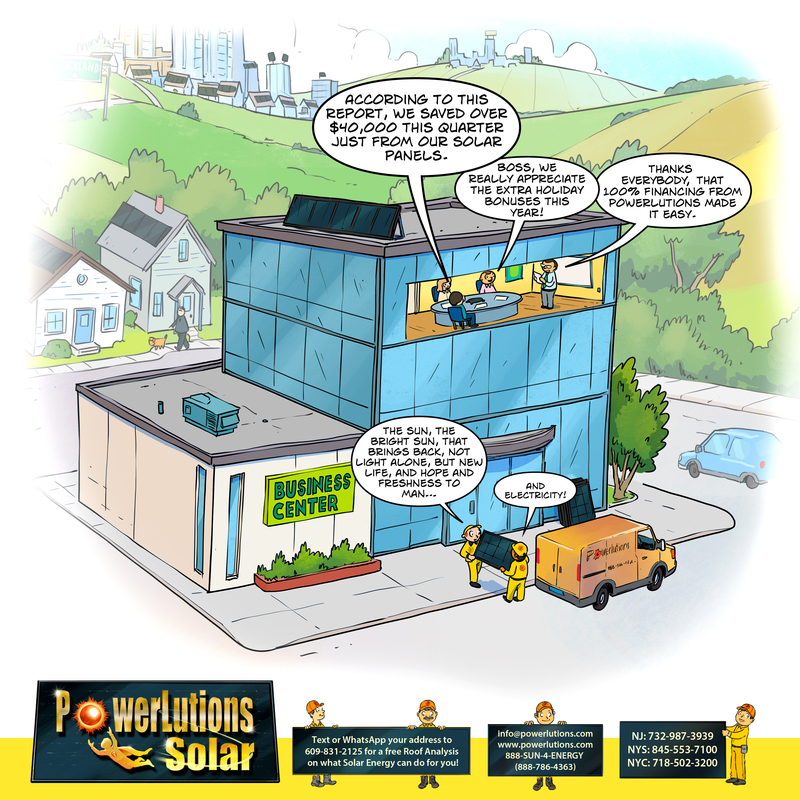 Businesses have, historically, been the primary beneficiaries of installed solar pv systems. From large scale solar farms to small businesses that have solar panels on their roofs, solar electricity is a growing commercial energy source. If you have one facility or a portfolio of real estate, solar should probably be in your energy profile. With state and federal incentives covering a large portion of the costs, the solar benefits are obvious. With the “green” electricity that is generated by the solar panels it is a smart decision to save green by going green. Depending on the size of the solar project, the cost can be substantial. This is where solar financing comes in. Because each business is unique we have unique financial structures to fit many scenarios. Solutions can include operating leases, capital leases & power purchase agreements. Different terms are available to suit your company’s needs. Please contact us, to discuss your project in detail, at 888-786-4363, email us at info@powerlutions.com, WhatsApp (click) or Text (click) us at 609-831-2125.